A full line of mechanical vacuum pump lubricants that are non-flammable, chemically inert, and thermally stable to help optimize pump performance are being introduced by MV Products of North Billerica, Massachusetts. 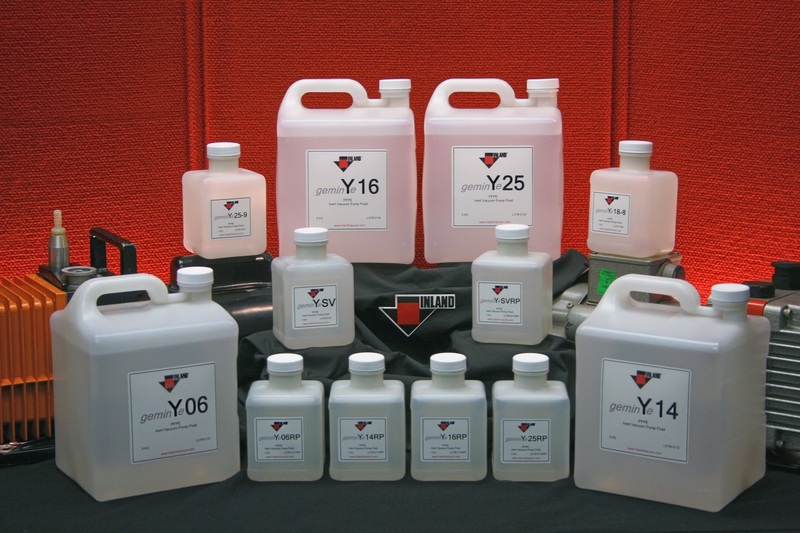 MV Products’ Inland® geminYe® mechanical vacuum pump fluids are a perfluoro- polyether (PFPE) selection of lubricants that were formulated especially for use in vacuum pumps. Available in viscosity grades from 62 to 270 cSt, they are non-flammable, chemically inert, thermally stable, and CFC-free to help optimize performance in a wide range of low- and high-vac pumps. Fully reclaimable, MV Products’ Inland® geminYe® mechanical vacuum pump fluids are compatible with other PFPE lubricants and provide exceptionally long service life when used with their proper vacuum pump filtration product, claims the firm. MV Products’ Inland® geminYe® mechanical vacuum pump fluids are priced according to type and quantity. A price list is available upon request.